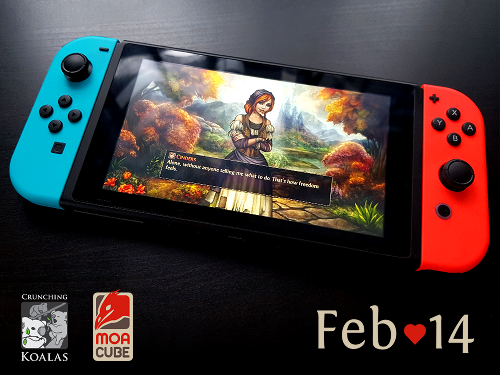 Cinders is coming to Switch on V-day! As promised, Cinders is coming to devices. The coolest one first! We’re teaming up with Crunching Koalas for this one and are absolutely ecstatic pretty cool with launching on a console by a company that shaped our childhood. No big deal. The game comes out on Valentine’s Day and that’s great — Cinders is a perfect date. Unless she ditches you for the belt-positive Captain of the Guard. ‘Cause, you know, choices.